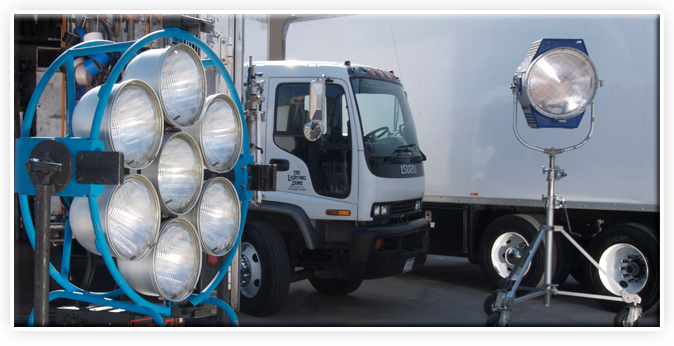 1 Ton Package- This truck is loaded with over 18,000 watts of Mole Richardson tungsten, electrical distribution and a grip package that includes an 8x8 and 12x12 overhead set. With a cart based layout and tuck away lift gate this truck is the solution to many production needs. Pricing reflects daily rate – We discount weekly, monthly, or long-term rentals. Mileage is charged at .75 cents per mile.